Please note this article was first published in 09 Mar 2010. Its content may now be out of date. We recommend taking a look at more recent website building blog posts or check out our comprehensive support pages. If you are looking for information on our 14 day free website builder trial we have a large number of webpages that guide you throug the process. Grabbing and holding the attention of visitors and browsers flying through the net can be achieved in many ways, but one of the main ones is with your text content. Filling your pages with endless scrolls of text will lose their interest in seconds, they probably won’t get past the second line before giving up and moving to a website with more images and less text. People read for pleasure but not when they’re looking for something. Sourcing specific information needs to be a simple and speedy task. You really need to aiming for around 200 words for your home page and make sure its packed to the brim with your top keywords and top key phrases. This isn’t a bad guide to follow for your other primary pages either. If you currently have what looks like too much text on your pages, then its time for some summarizing. It can sometimes be as hard as throwing out all that unnecessarily hoarded junk but sometimes, the cupboards just need a de-cluttering. Think of it as giving your website a spring clean. It most probably is yes, but can it be edited to remove any excessive repetitions. Can the grammatical layout be edited to create shorter sentences? Can you pick out some headlines and subheadlines to highlight and break up the page. Could the page look better with a few more descriptive images. The answer to most of these questions is more likely to be yes than no. Open your chosen page in the editor, simply tab down to a new paragraph and type your list with each item, phrase or point on a separate line / paragraph. Make sure the “Format” is set at “normal” then highlight the whole list and click the Bullet Points button on your editor icon bar. 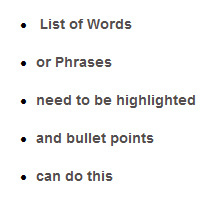 To widen the spaces between each bullet point, set the whole list with your bullet points in a heading tag, 1,2 or 3. Once you have set the heading tag, you can still change the format, size, font and colour to suit your page layout. As an alternative to Bullet Points, you can also choose to prefix your list with numbers. If you need to add more lines at the end of your list, simply tab down from the end of the last line and the next number will be entered for you automatically and your cursor placed ready for you to type in the next line. Copy and paste any content, which work better elsewhere. 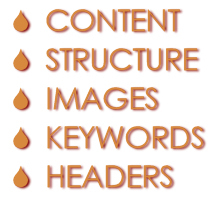 Set it on its new page with a clear headline and if possible a descriptive image then go back to the original page. Enter a line of text along the lines of: Click here to view the information on….. , highlight it and click the yellow Insert Link Icon, > choose webpage > internal webpage > choose the correct page from the drop down menu. Choose no to open in new window. Click Add to website. Please remember, this article was first published 09/03/2010. 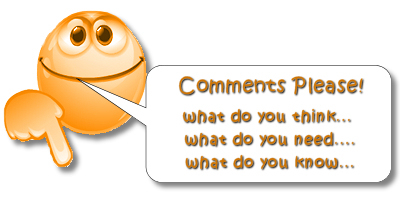 The content may be out of date and you cannot post comments any more. Please check out our new blog.